There is nothing quite as fantastic as a beautiful summer afternoon. The only thing that might be able to make it better, is a nice glass of wine. One thing I have found, is that there are so many different summer activities… Beach parties, pool parties, backyard get together’s or just enjoying some quiet time with a loved one. How do you find a good bottle of wine that can travel to every occasion? 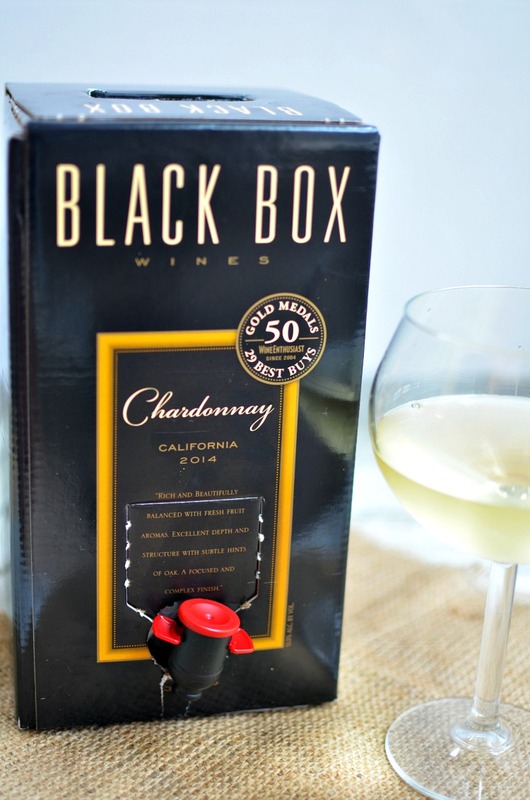 Black Box Wine is a great quality wine and it is perfect for ALL of your on-the-go entertaining this summer! Black Box wines are portable, yet higher quality than average box wines. Their superb grapes are harvested from world-class appellations, including California’s storied wine country and the acclaimed vineyards of Argentina and Chile. Through a meticulous, traditional winemaking process, Black Box Wines are crafted to be food-friendly and fruit-forward – all without the expense and fuss of bottled wines. So whether you crave sumptuous reds or crisp whites, you’ll delight in the quality and value inside every box. Black Box has won over 50 Gold Medals for its quality, it’s available for 40% less than comparable bottled wines, and it stays fresh for up to 6 weeks! 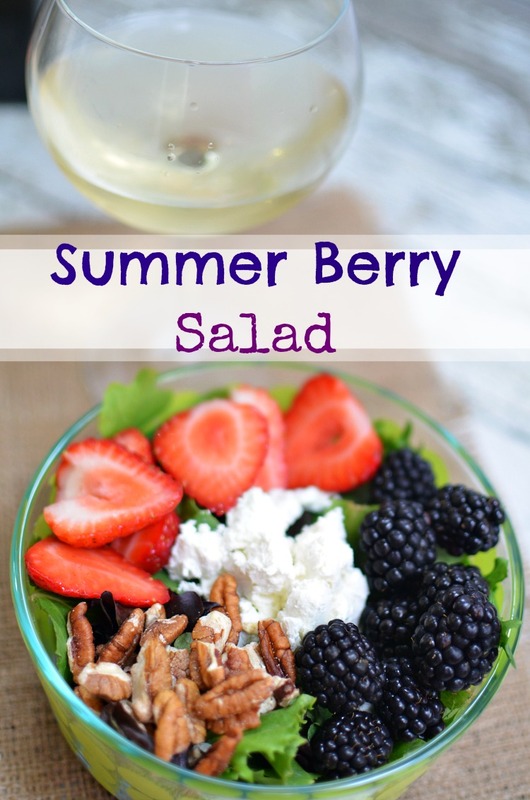 I’m a big fan of the Chardonnay and nothing sets it off like a summer salad with some fresh fruit and maybe a nice choice of cheese. Here is one of my favorite summer recipes that is great for parties or just when you want to make something tasty at home. 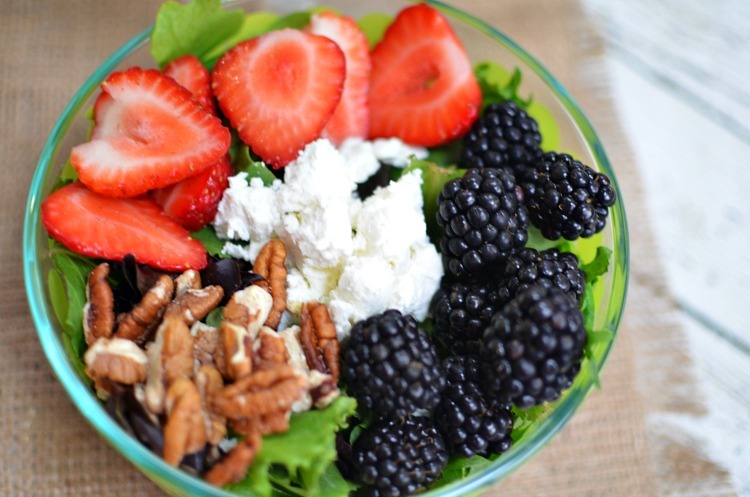 Put spring mix into a bowl. 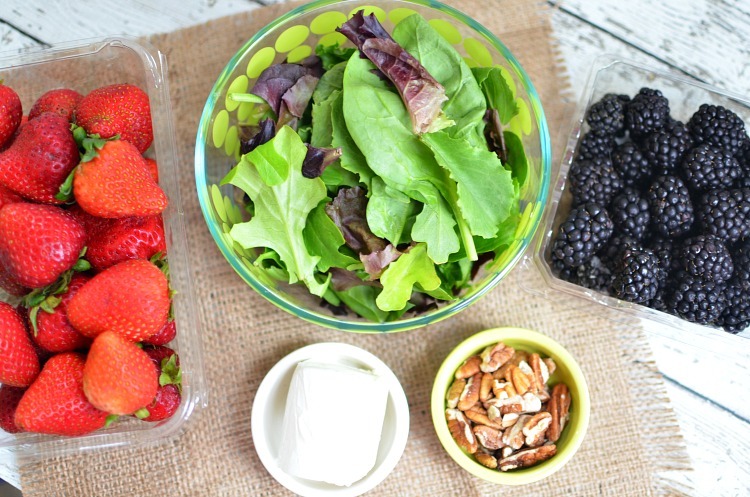 Wash and slice strawberries and then place them over one-third of spring mix. Wash blackberries and place them over another third of spring mix. Take pecans and place them over last third of spring mix. Crumble goat cheese and place in the middle. Top with balsamic vinaigrette (optional). If you’re looking for more great entertaining ideas check out the Black Box Simple Entertaining Social Hub. Also, be sure to enter the Black Box Sweepstakes! As most of my readers know, I’m a BIG fan of rum. As I’ve gotten older, I realized the smooth, silkiness of a great rum is one of the best things in this world. Each rum has it’s own flavor and identity, little hints and notes that make it unique. Papa’s Pilar Rum understands this and takes great pride in crafting their amazing rums. 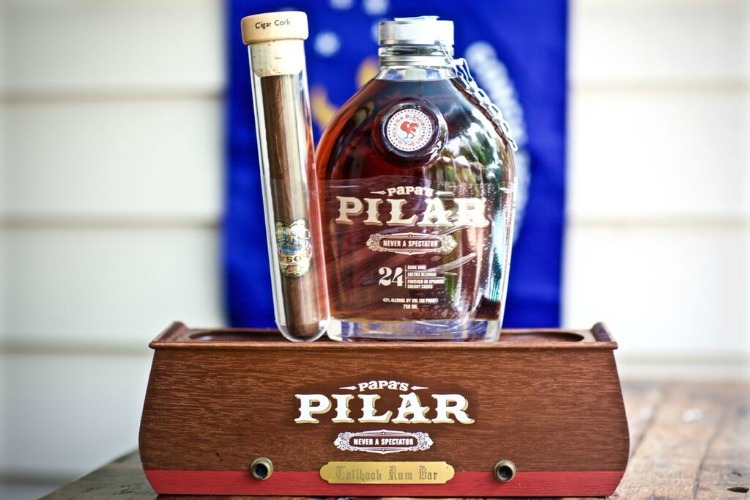 In honor of Father’s Day (aka Papa’s Day), Papa’s Pilar® premium sipping rum will introduce a unique cigar co-pack to select tobacco-licensed retail stores throughout Florida. Papa’s Pilar is meant to rekindle a sense of adventure in us all. The bold and complex sipping rum was inspired by Ernest Hemingway, a man who crafted captivating stories, tackled epic feats and is quite possibly the world’s greatest adventurer. 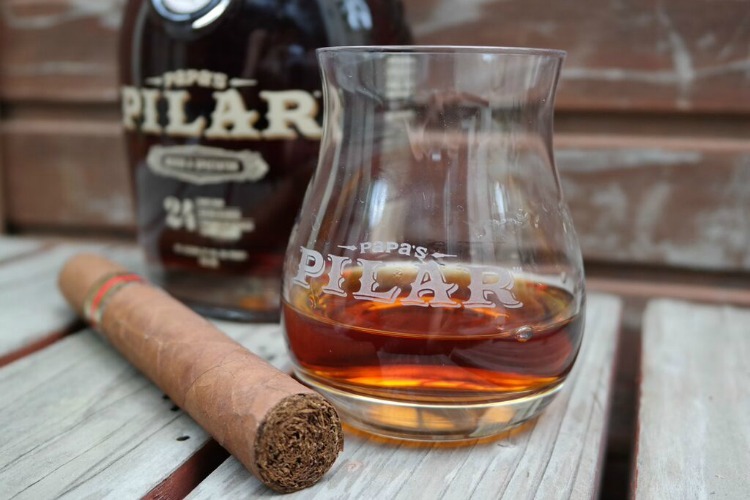 “Papa” as Ernest Hemingway was known, lived an epic life full of perpetual motion, and Papa’s Pilar was crafted to accompany rum enthusiasts as they sink their teeth into life. Named for his muse and one true constant, Pilar is the vessel that allowed America’s literary giant to reach beyond the shoreline, feast on life and remind us to never be a spectator. 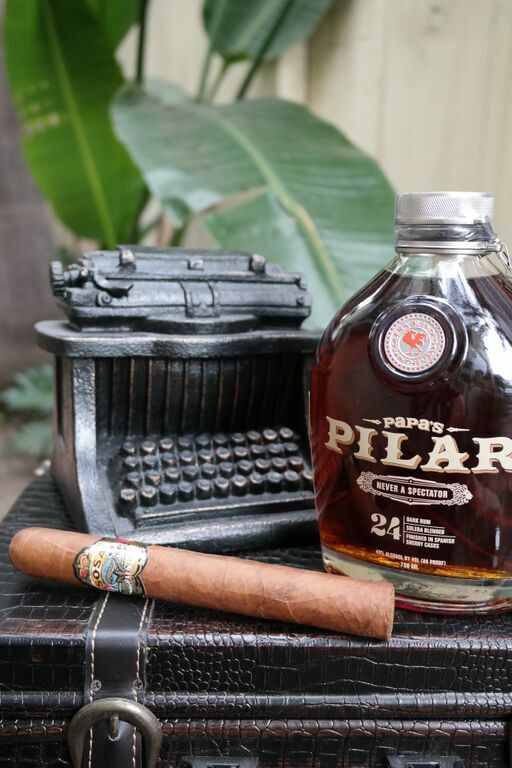 Papa’s Pilar was developed in conjunction with Ernest Hemingway’s estate. The Hemingway family will donate 100 percent of their royalty profits to organizations that embody the likes of adventure, literacy, and conservation. The brand is the “official rum” of the Coastal Conservation Association of Florida, partner of the International Game Fish Association, and works with local charitable foundations and causes dear to Hemingway and his heirs. 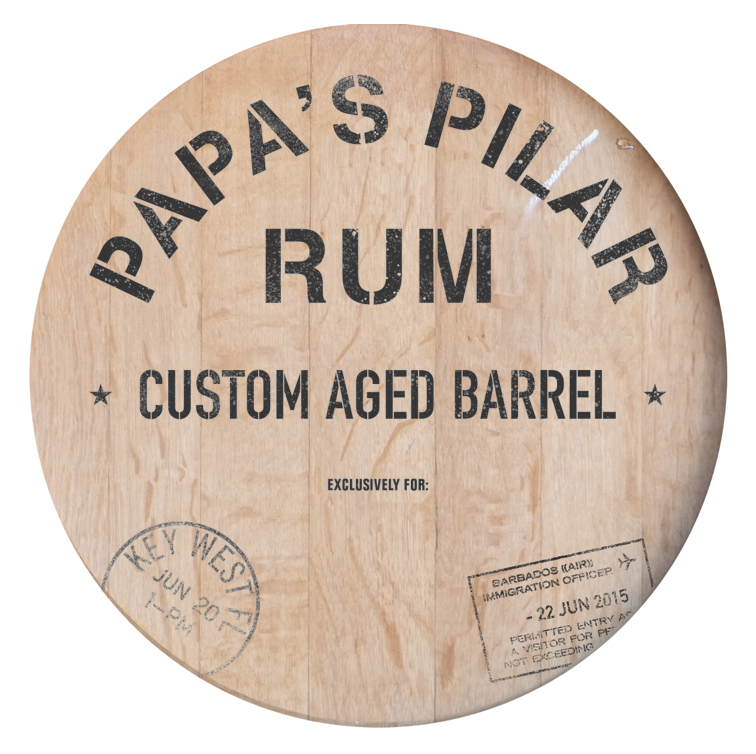 Papa’s Pilar plans to break ground on a new distillery and experience center in 2015 in Key West, Florida, further honoring Hemingway’s contribution to the classic spirit of the city in which he once lived. Give The Man In Your Life A Little Adventure This Father’s Day (Papa’s Day)! France has their wine, Germany has their beer and Puerto Rico has their rum! The beautiful island that is known for their beaches and tourism, is also known as the Rum Capital. The history of Puerto Rican rum reads like a brief history of the modern age. That’s why HISTORY.COM has partnered with Rums of Puerto Rico to create the new video web series, Rum Times. Here is a brief overview of the island’s rum history. Gold Rum – That familiar golden brown hue, rich taste and full body make this the natural choice for your standard rum and coke. Aged in wooden barrels, they have a stronger flavor than light rums. Spiced Rum – Usually a gold style, this grade of rum gets its name and flavor from the added spices and caramel. Dark Rum – Aged much longer in heavily charred barrels, dark rum has a robust, strong flavor, a hint of spices, and a strong molasses or caramel finish. The first episode highlights, no pun intended, the race to harness electricity and features such famous, historical figures such as Thomas Edison and Nikola Tesla. 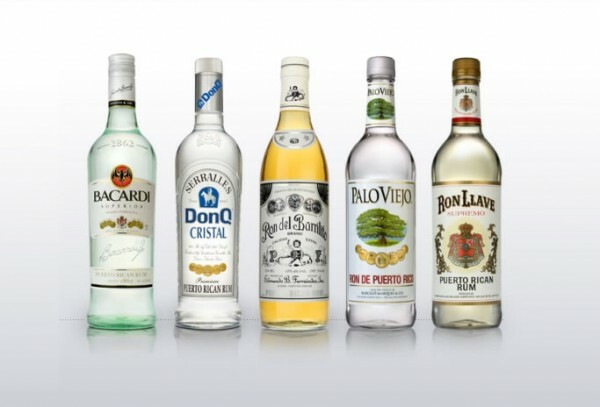 The creation of the light bulb and alternating current helped launch many parties that featured the rums of Puerto Rico. Upcoming episodes that you’ll want to watch will feature more historical advances that required celebration and obviously, Purto Rican rums. 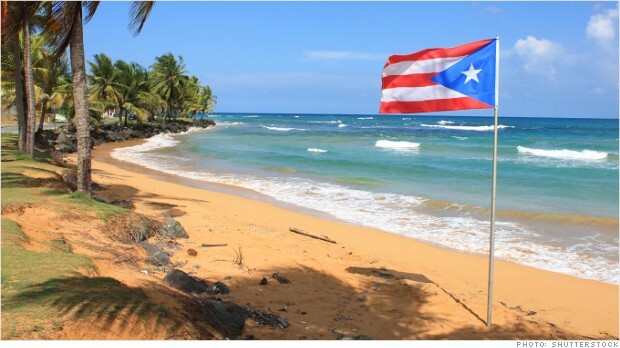 No matter what time the clock says, when I think of Puerto Rico…It’s Rum Time !!! I love trying new cocktails, but sometimes it can be a little daunting to find something both you and your guests will enjoy. 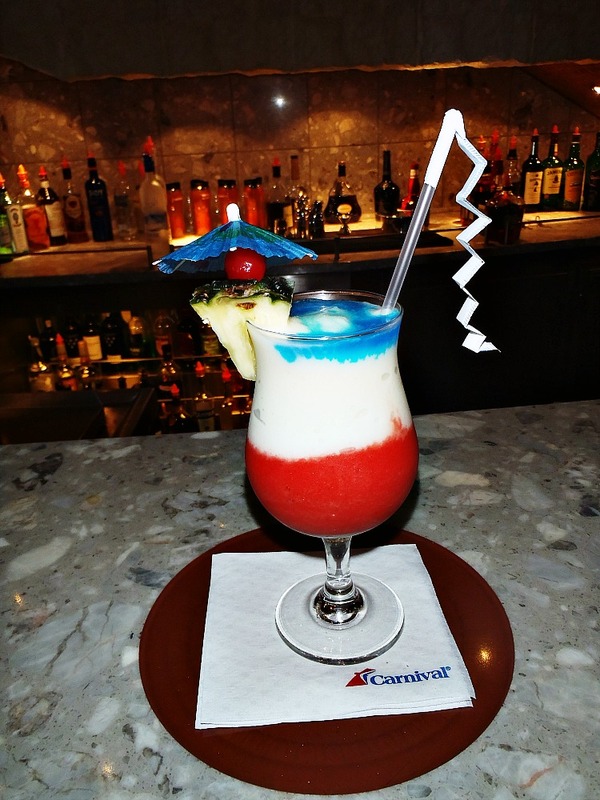 Here are some amazing recipes courtesy of Carnival Cruise Line that will be sure to make your party a huge success!!! The “big game” is Sunday and the master mixologists at Carnival Cruise Line have created a pair of colorful cocktails inspired by the teams competing for the coveted Vince Lombardi trophy. The hand-crafted cocktails – “The Green Machine” and the red, white and blue “New Vice” – are the perfect complement for guests checking out all the exciting gridiron action. 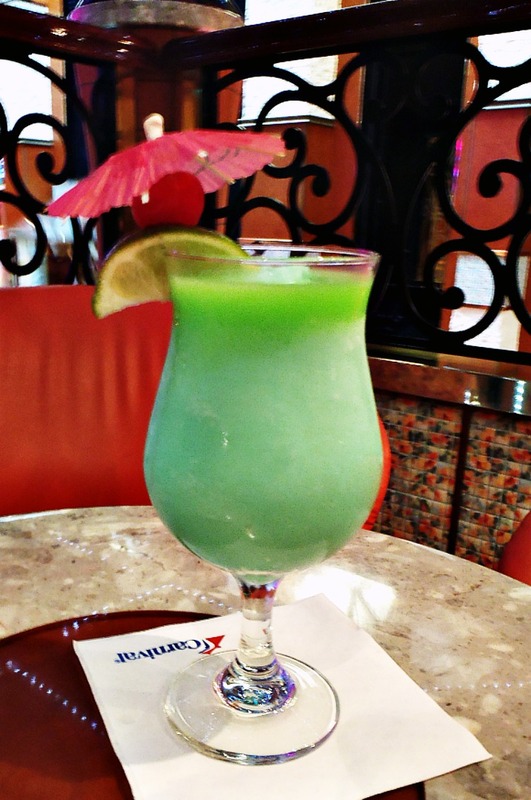 Your guests will have the feeling of being at the game and enjoying the best cocktails the seven seas has to offer. Pour all ingredients into a blender with a scoop of ice. Blend until smooth and pour into a glass. Top with a quarter ounce floater of Midori liqueur and garnish with a lime wedge, cherry and umbrella. Blend half ounce of Bacardi Rum, ice and strawberry mix and pour into a glass. Blend half ounce of Bacardi Rum with ice and Pina Colada mix and layer on top of rum/strawberry mixture. Blend half ounce of Bacardi rum with ice and Blue Curacao and pour on top of rum/Pina Colada mix for a vibrant tri-color drink! Garnish with pineapple wedge, cherry and umbrella. The show can be seen on Ora.Tv. Ora.Tv is an amazing online channel that also features shows from Larry King (Larry King Now), Morgan Spurlock (We The Economy), former Minnesota Governor/Wrestling personality Jesse Ventura (Off The Grid) and Captain Kirk himself, William Shatner (William Shatner’s Brown Bag Wine Tasting). Who doesn’t want to drink wine out of a brown paper bag with William Shatner… Sign Me Up!!! Every week the Beer Geeks feature a new brewery and this week’s episode/Twitter Party focused on the Odell Brewing Company of Ft.Collins, Colorado. Odell is known for their amazing interpretation of Scottish ales, that includes their signature 90 Shilling Ale and the insanely hop-tastic, 5 Barrel Pale Ale. In the episode they do a cupcake and beer tasting that looks like a little slice of heaven. Pairing the two is completely out of the box and makes total sense at the same time. At the Twitter party we asked people what they liked to pair with their beers and we got everything from pizza to smoked almonds and everything in between.It was so funny to see how everyone had their own opinion of what tastes good with beer! At the Twitter party we asked people what they liked to pair with their beers and we got everything from pizza to smoked almonds and everything in between. It was so funny to see how everyone had their own opinion of what tastes good with beer! Everyone had a great time and I had a blast discussing good beer with good people. I’d like to thank Beer Geeks, Odell Brewing, TweeParties and Ora.Tv for inviting me to be a part of such a great show! Remember… Buy Local, Drink Local!! !